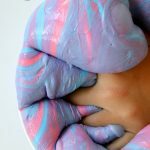 Crunchy Slime is a Loom Bands slime tutorial for kids to enjoy using up colored rubber bands and getting a amazing crunch! 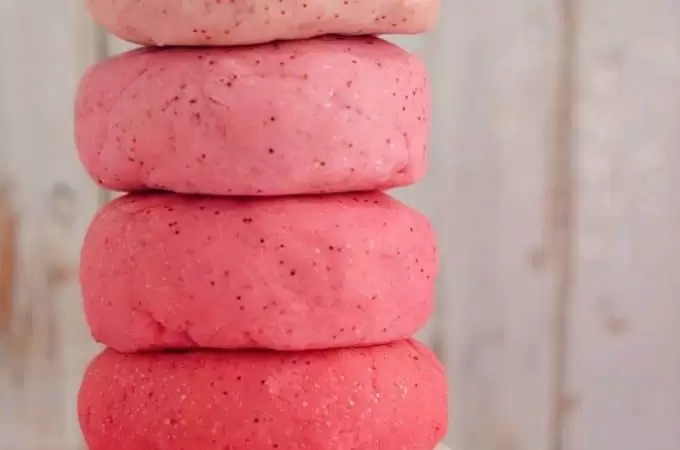 This clear glue no borax recipe is a kids slime recipe they will love. 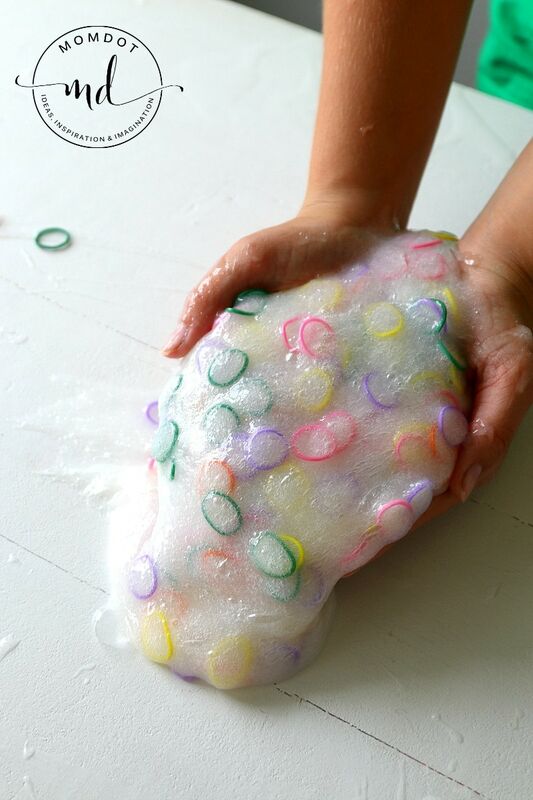 Grab your starch and glue and meet me below to learn how to make crunchy slime! 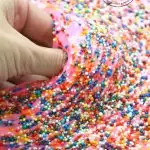 Before you get started on how to make crunchy loom bands slime, you absolutely want to have your products on hand. 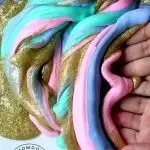 I order all my slime supplies from Amazon and it makes it easy to plan craft time, parties, or DIY Slime Projects because Prime can have it here ASAP! 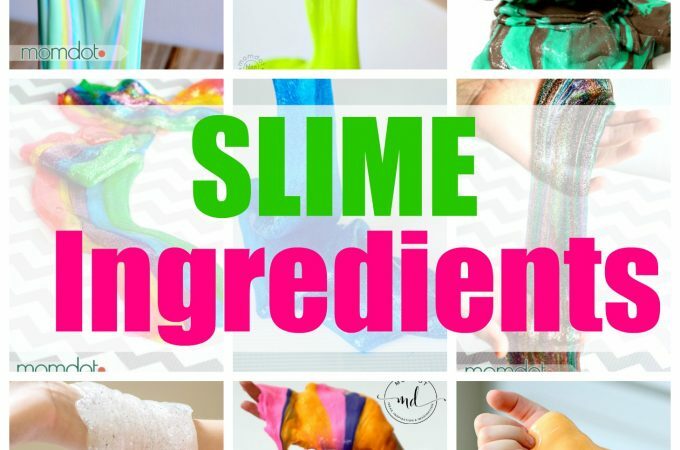 NOTE BEFORE WE GET STARTED ON LOOM BANDS SLIME: Slime is a science project. 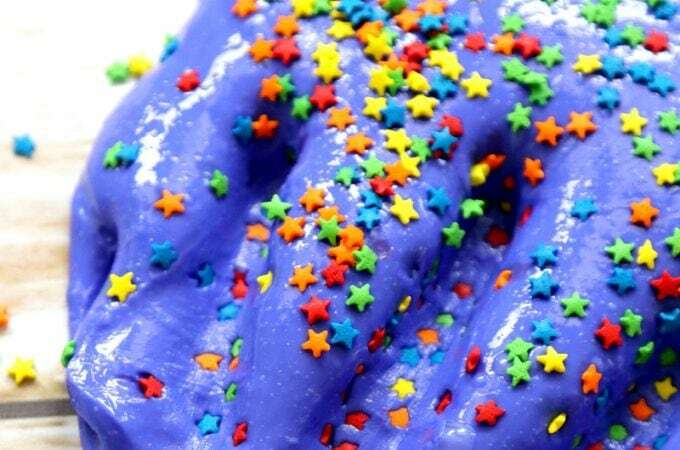 It’s absolutely fun, but its also messy and requires patience. 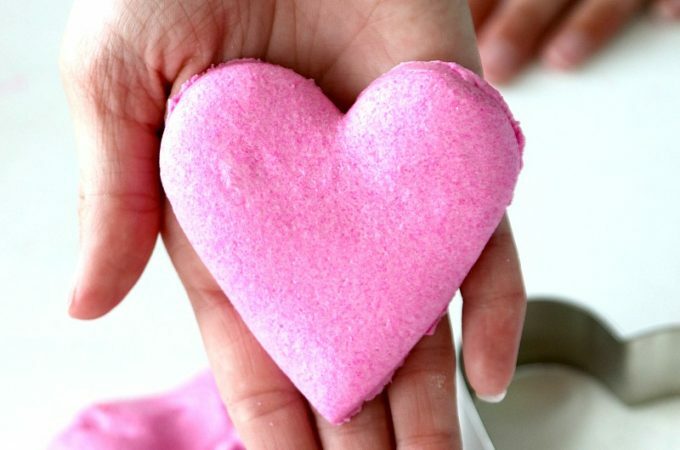 Additionally, in some rare cases, people can be sensitive to the products it takes to make slime so if you find that you have sensitive skin, I advise that you use gloves before playing. 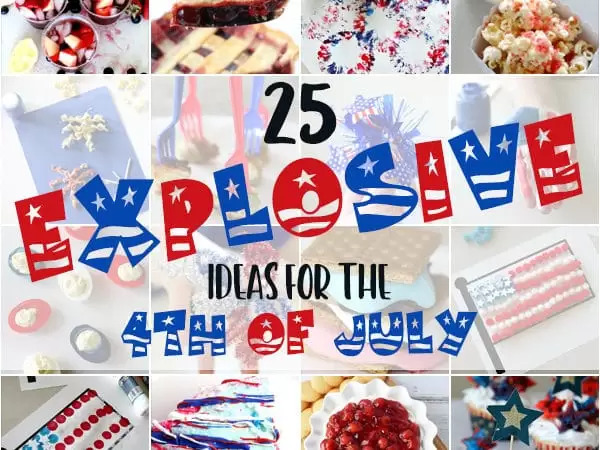 Last but not least, please make sure children are supervised and these projects are not meant for children that are of an age that put items in their mouths. 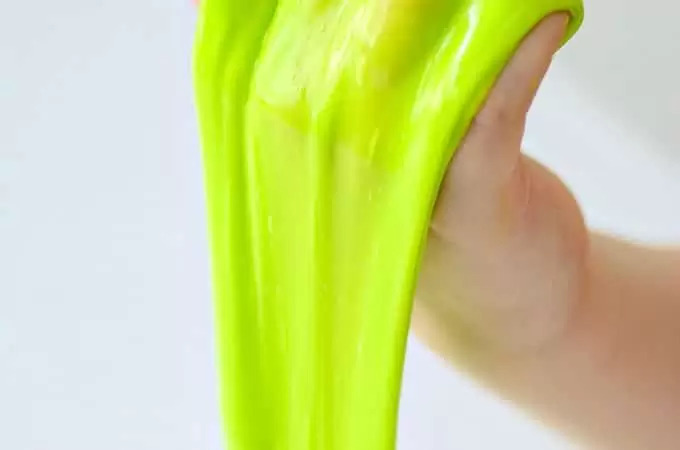 Slime cannot be eaten. 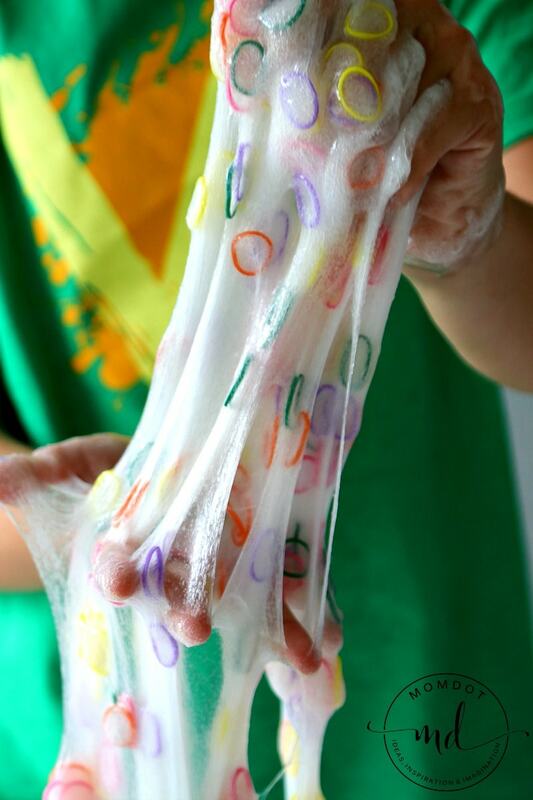 Loom Band slime is SO fun and so crunchy. 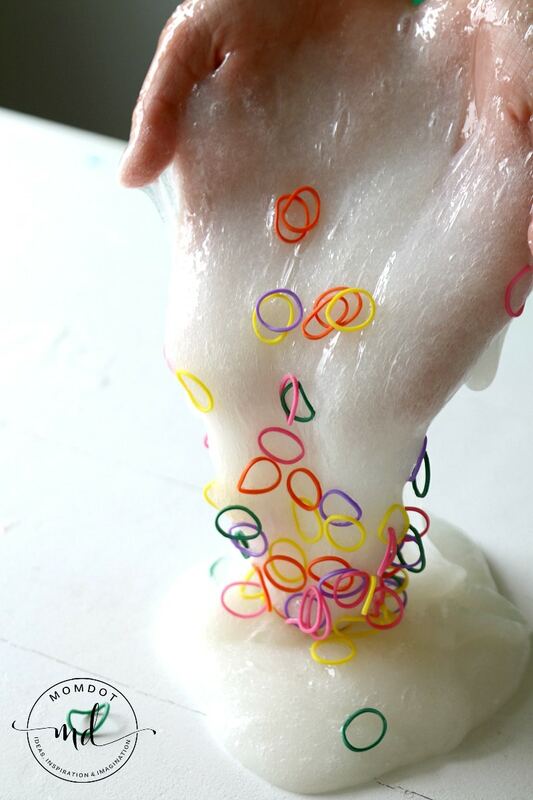 The loom bands are super light weight, easily push into slime, can be seen in the clear slime, and have a delightful feel as you crunch the rubber bands in your hands! 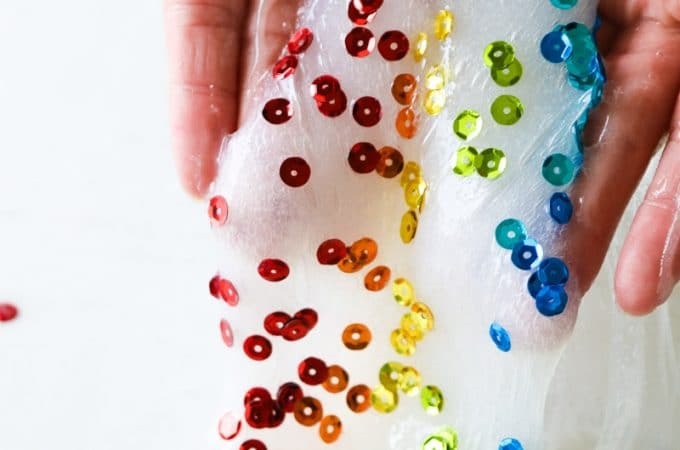 To make loom band slime, you will need to do the same thing you always do when you make slime recipes- mix your glue and your starch . 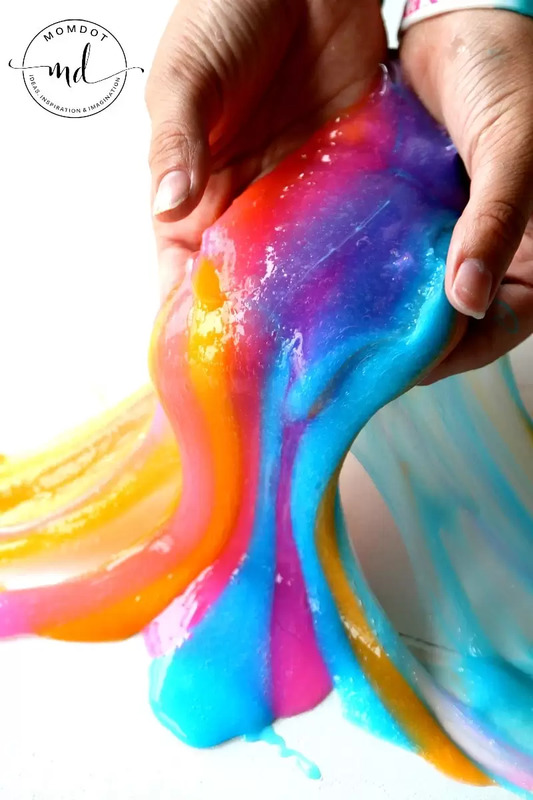 If you know how to make slime already, this is pretty easy for you but when it comes to making slime with clear glue, it typically needs double the amount of starch to cling together. Clear glue is VERY STICKY!! 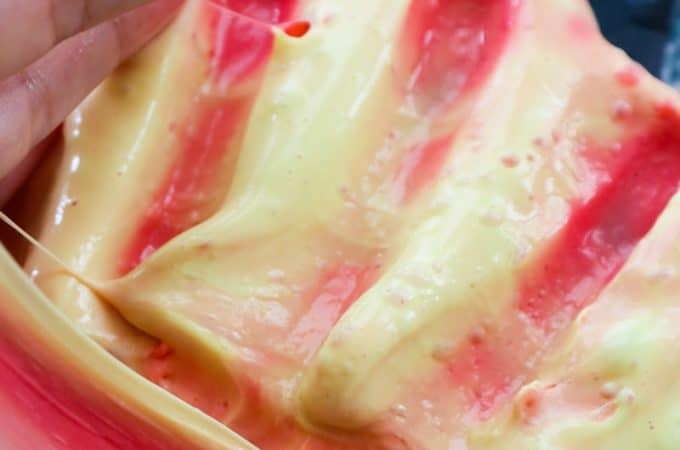 I am not giving exact measurements because it mostly depends on how much slime you want to make. 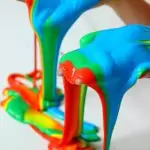 That being said, we typically pour in about a cup of glue, then add your dye (if you add any, in this case we didn’t but in other slimes like the Unicorn Poop Clear Slime Recipe we did), and then up to 1 cup of starch when it comes to clear glue. 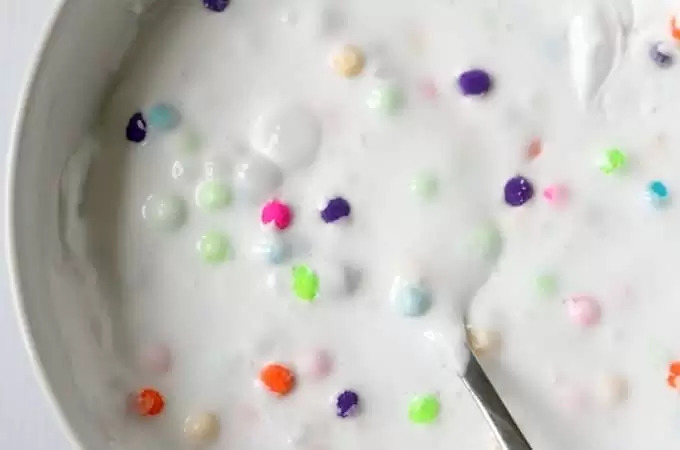 I would highly recommend adding only about 1/4th cup at a time till your slime stops being sticky. 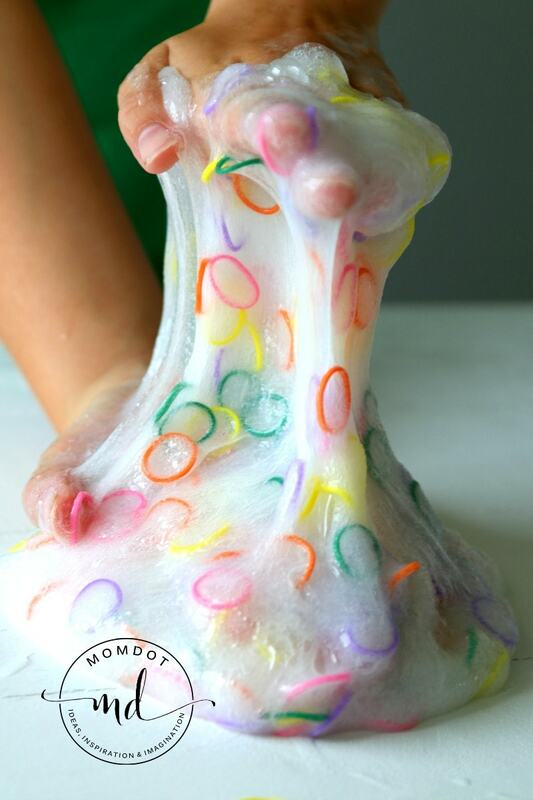 When working with clear slime, patience is your friend. The more you play, the better it gets. Again, when you use CLEAR GLUE, it will have a faster flow and will not work like regular hard glue slimes. The point is to leave it super flowing! 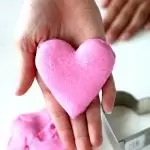 I like to use a spoon first till it starts to stick together and then knead it to finish. 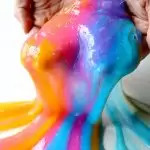 I consider clear slimes an advanced slime because its not as easy regular slime or fluffy slime, but it’s super fun and worth it. 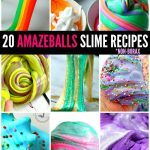 Learning to make slime? 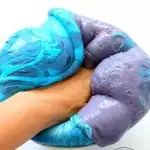 Here are some helpful slime videos to help you get through the process!